The NY means new clubs & more buttons! Its 2016 and the New Year is certain to bring new friends, new hobbies, new adventures and more buttons, definitely more buttons! We had an amazing 2015 at Six Cent Press! Shattering all our previous records for number of buttons produced, and getting to work with so many new talented people and businesses across Canada. 2016 has us acknowledging our 12 years in business! Although it feels as if we are just getting started, you can bet Six Cent Press will be pushing buttons for a good long while! 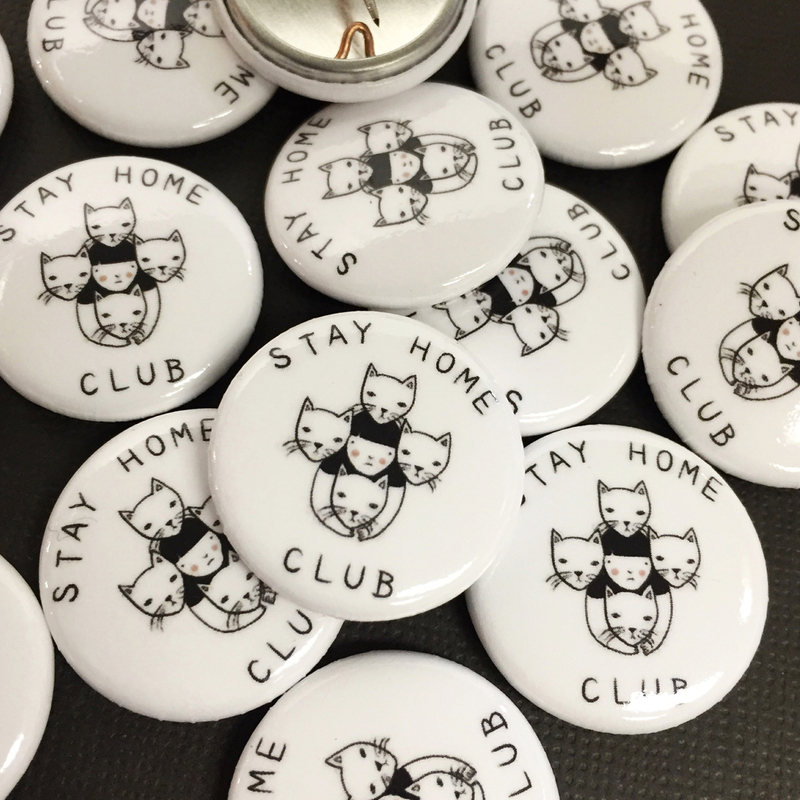 Stay Home Club is a lifestyle brand out of Montreal for people who have no life. They offer a range of thematically cohesive products designed in-house as well as items featuring the work of contributing artists. They are a club that never meets, but a club nonetheless!